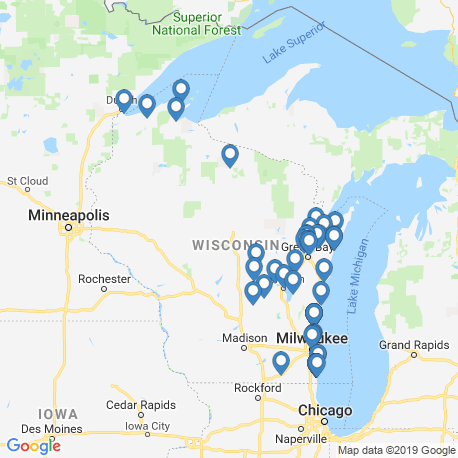 Wisconsin offers the freshwater enthusiast a wide range of species to go after – from various tasty Trouts to monster Muskellunge. There’s something for any angler, be it rivers, lakes, backwaters or wetlands, all wrapped up in stunning views to soak in while angling! 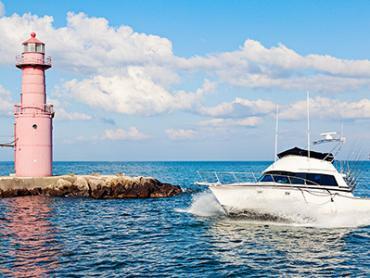 With so many waters to choose from, finding the right Wisconsin fishing charter is a must. 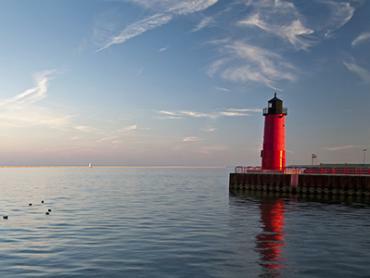 Wisconsin has many fresh waters to pick and choose from – over 15,000 lakes and ponds in fact. There are more than 2,500 Trout streams spread across the state, totalling almost 6000 miles. 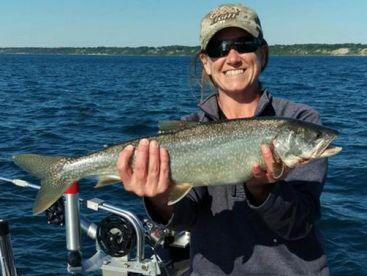 These generous waters attract a staggering number of anglers; it’s estimated that around 25% of the adult population in Wisconsin goes fishing, with about 500,000 non-residents arriving to get their fish on every year! Green Bay fishing charters are mostly located in the city of Green Bay, a great point to go after the inner waters. 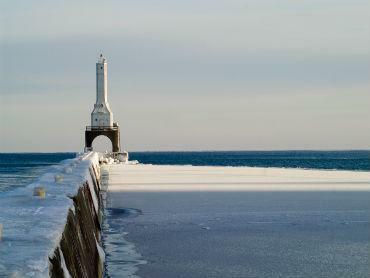 Sturgeon Bay is good to cast off for the mouth of the bay. 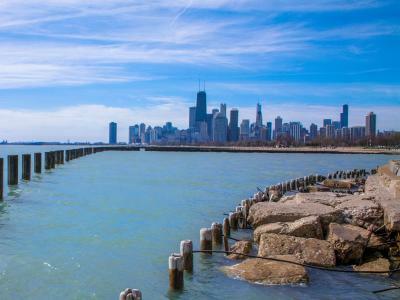 It’s much shallower and more fertile than the main body of Lake Michigan and you can find many various species splashing around. 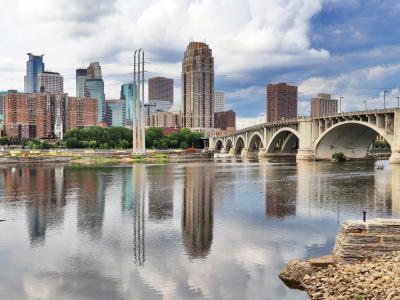 Walleye, Yellow and White Perch, Freshwater Drum, Northern Pike, Carp, and Channel Catfish all lurk in these waters. During summer months the limestone reefs make for a great Perch fishery. 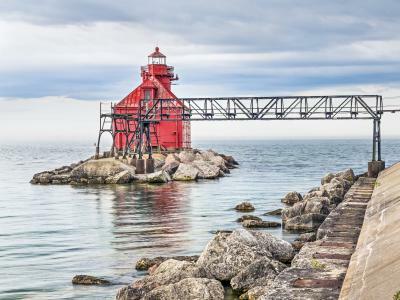 A bit farther to the north from the mouth of Fox River, you can find Peshtigo and Menominee Rivers – premier Trout, Salmon, and Smallmouth Bass waters. The Brown Trout action is red-hot in July – fishing derbies held at Marinette produce winning specimens weighing over 20 lbs! The river is very wide in Wisconsin, with most places around 2-3 miles across. 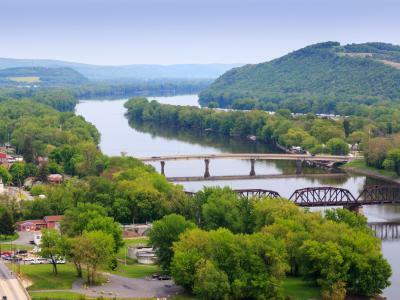 La Crosse is one of the best points to fish the river, it lies on Route 90; the drive from Milwaukee is worth it. You can target many different areas: Tailwaters (waters downstream from a dam) are amazing Walleye and Sauger fisheries during late winter. 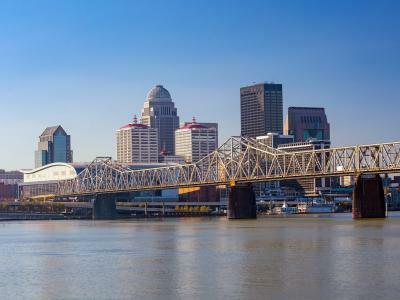 If you’re looking to fish and not have to wear multiple layers, you can look forward to good Flathead Catfish, White Bass, and Freshwater Drum action all summer long. Backwaters, sloughs, side channels, flooded forests, and wetlands all allow for awesome Largemouth Bass, Bluegill, and Northern Pike fishing. During winter you’ll mainly hook up Bluegill, Crappie, and Yellow Perch. The main channel can be fished in theory, but the heavy boat and commercial traffic make it difficult. Additionally, many unmarked underwater objects hide just beneath the surface and can easily damage your outboard engine props. 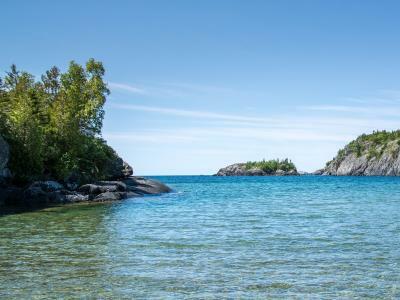 The largest lake in the world by surface, Lake Superior also has a healthy Lake Trout population that has rebounded nicely in the last couple of years. 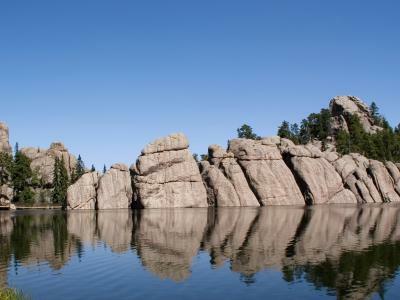 Marquette is a good starting point if you want to go straight into the heart of it. 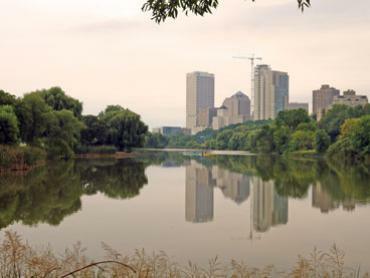 The St. Louis River flows into the lake on the west end, allowing the native Walleye population good spawning waters. And spawn they do, every year about 100,000 Walleye will go upstream, drawn by instinct. To go after them you should seek out a fishing charter at Duluth (Minnesota), they’re the local masters for Walleye. Anglers can also hook up Northern Pike and Yellow Perch at the mouth of the river. 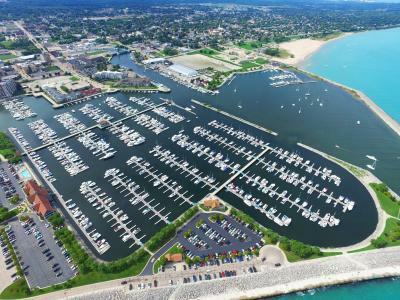 Kenosha, Racine, and Milwaukee have a large number of charter boats that will happily take you fishing on the lake. Fishing with one of Lake Michigan’s fishing charters is essential, as the Salmon change depth based on the weather and other conditions. Having a local pro onboard makes the all the difference. Sheboygan fishing charters will put you on some of the hottest Salmon action around. The lake is home to Chinook Salmon and big Trouts; so much so that there are numerous summer fishing derbies held in towns along the coast. 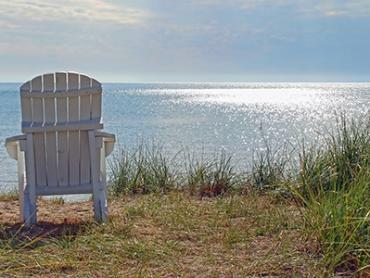 Fishing is great year-round on Lake Michigan, with late March or early April being the start of the open-water fishing. Late spring is also great for migrating Cohos. 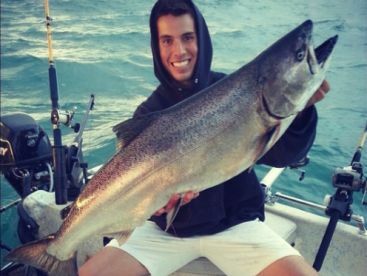 If you’re a fan of hooking up huge King Salmon, there have been multiple 20 lbs and above Salmon caught off the coast of Racine in the previous years. Lake Winnebago is one of the best spots around to go after Walleye. 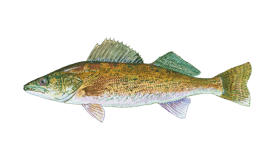 The entire state is teeming with them, with over 1 million adult Walleye swimming all across Wisconsin. They’re looking for cool waters and low light levels, so fishing during the mid-day when the sun is brightest will be more challenging. Largemouth Bass is the poster-child of freshwater fishing, with good reason. They’re tremendous biters and if you hook a big one, you’re in for a wild ride! You can find these beasts in almost any lake in Wisconsin. You can find Smallmouth Bass in many medium to large rocky streams or large lakes that have clear water. Luckily, Wisconsin is chock-full of gorgeous lakes that the many Smallmouth Bass are happy to live in. 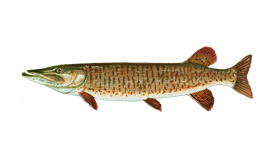 The official state fish of Wisconsin, Musky is endemic to North America. Wisconsin is the heartland of this fish, arguably the best place in the world to catch them. You should go to smaller and shallower lakes with plenty of vegetation. It’s a very popular fish to go after, with estimates going as high as 100,000 caught per year. 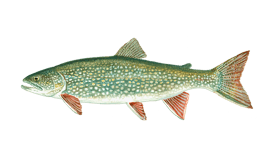 Northern Pike can be found all over Wisconsin but it’s especially numerous in the South. These large fish are sight hunters, so targeting them during daylight hours is the way to go, just make sure to keep the bait moving. If you’re a fan of ice fishing, this is probably your top target. You can find Brook Trout all over the state, normally on the outside of bends in streams, undercut banks, or areas with surface turbulence. They like living around underwater structures like large rocks or sunken trees. 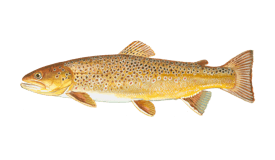 Brown Trout are longer-lived, larger, and spookier than Brook Trout; a real treat for any freshwater angler. They like living in warmer waters than their cousins. They can be targeted year-round, but the best fishing is during the spring, especially on light tackle. 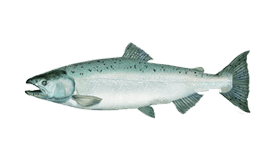 The aptly named King Salmon is a hardy fighting fish that will put your fishing muscles to the test. During the spring, you can target them closer to the shore as they love chasing baitfish there. Silver Salmon is one of the most delicious fish you can catch in Wisconsin, though that’s only true during the spring months, when the fish are young and tasty. During fall they’re much larger, but as they near the end of their life cycle the meat just doesn’t taste as good. The fishing doesn’t end with the species listed above. Kokanee and Pink Salmon can also be found in various lakes around Wisconsin. 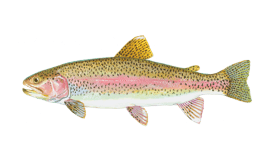 Rainbow Trout isn’t as numerous as Brown or Brook Trout, but you might reel one in. Channel and Flathead Catfish, as well as Lake Sturgeon stalk many of the state waters. You need a valid Wisconsin fishing license before you begin your epic fishing adventure. There are several options to choose from, depending on what your plan for fishing is. You can check the details online. Chumming isn’t allowed in the state, unless you can reliably pick all of the chum up before you leave. 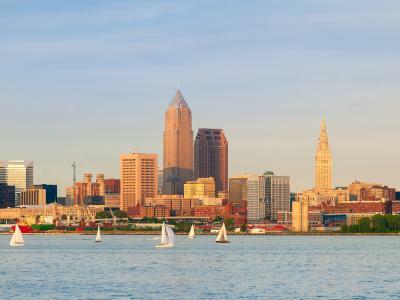 The weather on the Great Lakes can turn quickly, dress adequately. Walleye action is hot enough to keep you warm through the cold month of January! Ice fishing is a great way to catch these fish. A tough fight will produce a tasty catch, a perfect treat after a day spent in the freezing outdoors. 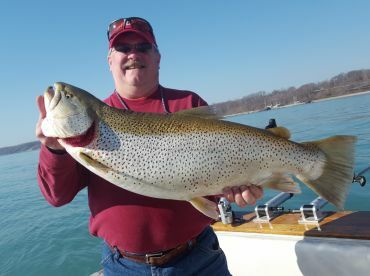 Hitting the Big Green Lake allows you to hook up a lot of lake-dwelling fish like Brown Trout. Using heavy spoons, jigging raps, and white jigs will allow you to fish the deeper waters where active fish are swimming around. 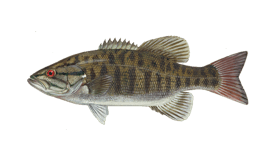 Sauger is the hot topic in March. They are usually found at twice the depths Walleyes prefer. Try using vertical jigs or pull crankbaits upstream with a heavy line. Perch and Catfish action also picks up around this time of year. 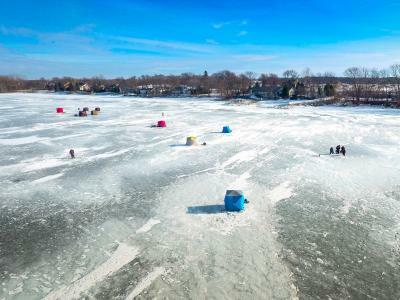 As ice pulls from the Fox River, anglers swarm the area going after Walleye. This is the perfect time to go after trophy-sized fish, as the females will migrate up the Fox River. You can also go after White Bass. 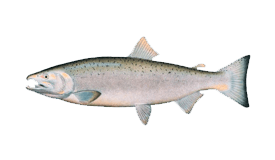 The Salmon fishery picks in June, Coho Salmon is especially good Trolling planer boards and stickbaits in shallow waters (less than 20’ deep) produces good results. Make sure to keep one eye on the weather, as it can turn very quickly. The state favorite, Muskie, can be reliably targeted – you should use topwater lures and bucktails when chasing them. They’ll almost always start jumping when they bite, so keep your rod tip close to the surface. Walleye makes another comeback as one of the most popular targets, with a good number of them being in the mid-20’’ range. Trolling with spinner rigs behind planer boards along the shoreline is a productive technique. This is prime time for wrestling with massive Northern Pike on the Mississippi River. The river is abundant with various fish species, so expect to see quite a few fish you haven’t targeted before on the end of your line. As the weather cools down, the Muskie action heats back up. The lower Green Bay area has the potential to produce a record-breaking specimen. If you’re in the mood for smaller fish, Smallmouth Bass and Crappie are in good numbers. Walleye starts voraciously feeding during November. Productive techniques and locations vary greatly, based on the speed of the water and the flow. An experienced guide can put you on the bite in the double digits! 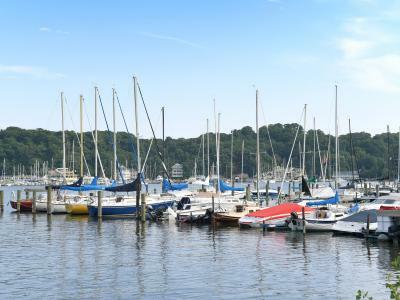 "Full Day Trip with Captain Troy Krause"
Water ways and fishing opportunities galore! Green Bay is such a great little town, easy to get around and super friendly people. Affordable places to stay and eat. "Full day trip with Dennis!" Would be better to fish in the summer but overall a great experience!!! "Fun Trip in Late September"
I would recommend trying to go earlier if you can due to the inconsistent weather and wind. "Only guide we fish with!" We fish the weed beds on the north side of the lake and the drop offs, depending on what we are fishing for. Lots of pike, landed a 36", in 2015.